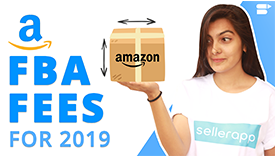 Amazon Message Center, commonly considered to be Amazon Buyer-Seller messaging service, is a feature that allows buyers and sellers on Amazon to communicate directly and discuss any issues, claims, feedback, or suggestions related to the purchase. This service can be accessed within a user’s individual account. It helps buyers leave feedback for the product directly with the seller, discuss the problems, if any, and understand the usage of the items. It can also be used to ask any question related to the purchase - whether it is about the product itself or related to shipping, payments, or refunds. From a seller’s perspective, the message center for Amazon helps them resolve customer queries and answer their questions to the best of their ability. Over here, the feature is commonly known as Amazon Buyer-Seller Messaging Service and the end goals remain same here. It is an opportunity for sellers to connect with their customers and discuss their concerns. It helps them understand how they can serve them better in the future and opens up new possibilities for their business to explore. As they aptly say, ‘a customer is the most important person to the company,’ and by paying attention to what they have to say, Amazon sellers can take their ventures to new heights. A report published by Microsoft in 2017 stated that more than 90% of consumers across the world believe that customer service is an essential factor when it comes to choosing a brand. No matter how perfect of a product a seller has, there will always be a few dissatisfied customers. Perhaps, the item they purchased didn’t meet their expectations, and now, they have decided to get in touch with the seller. Perhaps, they are facing issues with shipping. Whatever may be the situation, following these tips will assist significantly in handling customer complaints. Managing customer queries proficiently is a skill, and just like any other skill, it will take some time and effort to master it. Remember - a poor customer service experience is detrimental to the success of a business. Messages from customers are filtered into different sections which makes it easier for sellers to sort them. Therefore, sellers can assign these messages/queries to relevant team members and have them continue the conversation. In a situation where sellers are managing everything by themselves, which is quite likely, they can respond to the messages depending on the order of priority. For example, a query related to shipping/payment can be attended first rather than responding to a review or feedback. A rule of thumb - immediate replies to customer queries will always bear great results. It bolsters the trust that customers have put in sellers and convinces them that customer satisfaction is indeed the top priority here. However, immediate responses may not be possible all the time, and in such a scenario, it is feasible to respond as soon as possible. Using the Amazon message center, sellers must make sure that every query is resolved successfully and should do so quickly and efficiently. Again, this is possible by being conscious of clients’ problems. Many customers prefer doing business with a brand that is quick to understand their requirements. Therefore, sellers must always be proactive when it comes to interacting with customers. It is also equally important to follow up whenever necessary and establish a rapport with customers. Therefore, pay attention to their needs and see what can be done to enhance their buying experience further. The primary objective here is to improve customer satisfaction. Sellers can communicate with their buyers on Amazon directly through the Buyer-Seller Messaging Service. Firstly, the service uses encrypted email addresses rather than actual email ids. In other words, no matter where the email is sent from, the address will always appear as a random string of numbers and alphabets like abce2113121powqw@marketplace.amazon.com. How to Open the Amazon Message Center? Login to the Amazon account and select the ‘Your Account’ option from the dropdown menu in the top right corner. In the ‘Email, messages, and ads’ section, click on ‘Message Center’ to access the Amazon Message Center. Here, customers can view all the messages and important notifications pertaining to orders, shipping, payments, et cetera. Proper management and usage of Amazon Message Center will help buyers enhance their shopping experience online.